Sixpence For Your Shoe: Athena and John wed with nautical flair! Athena and John wed with nautical flair! All photos courtesy of Jane and Mike Shauck at Iris Photography. Athena and John - oh where to begin! When Athena called me at the end of June, 2009 and she said, "I don't live here anymore, I am only in town today and tomorrow, is there any chance I can meet you?" I kind of just knew. I happened to be available, and happened to be in her neck of the woods and we met, in an adorable little coffee shop, just across the street from where she and John would wed nearly one year later. Athena is all business, she trusts her instincts and follows the facts. She said - "I like you, I want you to help plan my wedding" and we were off! Athena always knew she wanted to be married on the town green in Essex. Her hometown, and although shes gone on to become a city girl, her roots are on the Connecticut Shore, and in the quaint little town of Essex. With her waterfront ceremony location, and reception at the Essex Yacht Club, we began to pull together the makings of a spectacular nautical wedding. Bright, colorful, and chock full of personality was what we created. When the day had finally arrived, it wasn't the sunny and 76 degree day that Athena and John had hoped for - the rain was off and on, we watched and waited, waited and watched, and Athena reaffirmed her desire to wed at the waterfront park. As guests began arriving, the rain slowed and the clouds tried their best to clear. We set the chairs and ceremony space quickly and the music played - a string ensemble from the Wildwood Groups. Yumiko at Hana Floral Design could not have been more spectacular in her selections for the flowers. They were perfect, the colors were so vibrant, and they really brought everything together. We provided all of the day-of stationery items. As the ceremony ended, guests made their way - walking through town to the Essex Yacht Club for the reception. The sun was peaking through the clouds, with warm and buttery light. The Sperry Tent beckoned and what guests would find inside was even more of a treat. We paired royal blue and white striped linens, with golden yellow chargers, navy polka doted plates, and a sea glass blue saucer. On top, menus tied in the color palette, and Nantucket Red Napkins were tied with blue and white bakers twine. All of the rentals came from Party Rental! Music was always something that Athena and John wanted to incorporate into the wedding theme. By naming the tables of favorite songs, and wedding songs of their family and friends, they paid tribute to their loved ones and then throughout the night, played those songs for their family and friends to dance to. Our favorite DJ, Rob Waldron from Standing Ovations played tunes all night and the dancing got pretty intense. Athena and John, we had so much fun planning with you and your families were so wonderful! It felt like we were old friends, and in a groove together. I wish you both years of happiness in your marriage. Oh Talia, I love this! What a perfect look back on our day. We couldn't have done it without you. Thank you for sticking by me as the rain came down... because of you I was able to have the ceremony that I always wanted and the reception that I never even dreamed I could have! You and Lindsay are the best at what you do! Lisa and Al Celebrate at The Mount! "I do" on Rue La La! Mika and Brendan wed at Eolia Mansion! 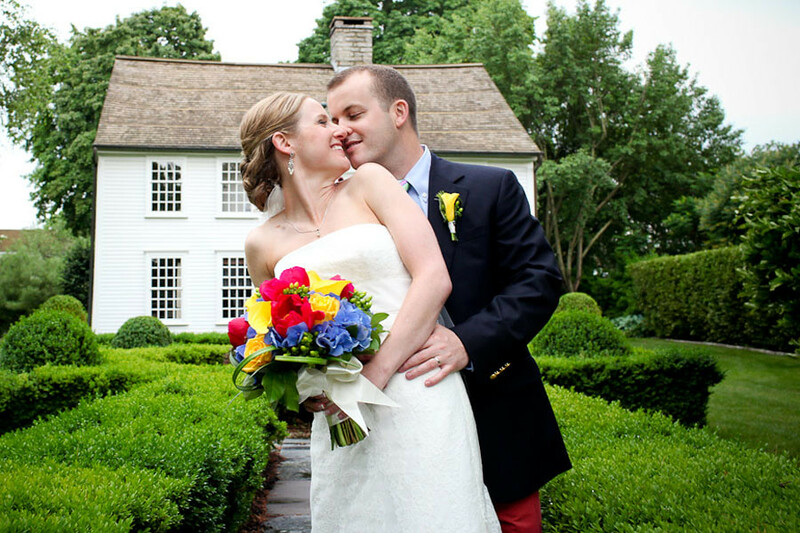 Amanda and Kyle wed at Saltwater Farm!